Each year, more than 8,5 million people come and visit Ireland. More than 1,5 million are from the US & Canada. Most of them come to Ireland to visit amazing landscapes but other also use their trip to Ireland as an opportunity to connect to their Irish heritage. 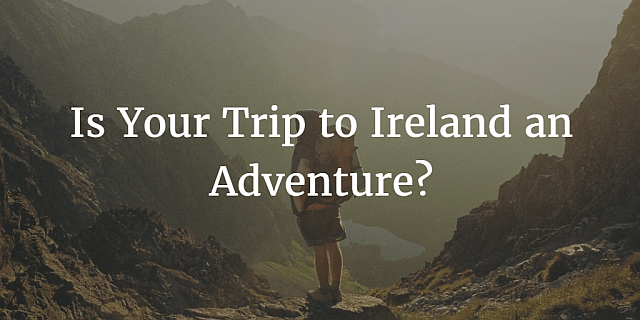 Whatever your reason may be, travelling to Ireland is always a great option for your vacation plans. A trip to Ireland should be packed with wonders for the eyes, mind and soul, oh and also some unpredictable weather – so it’s better to be prepared for anything! You should try to treat your Ireland trip as an adventure since there will be a lot of new things for you to discover. Just imagine you’re on a quest to see as many beautiful places, meet great people, eat amazing food, and you’re set to go! Don’t believe us? Then listen to the rebroadcast of the 60th episode from the Bitesize Irish Gaelic podcast where we’re having a great discussion with Barbara Moloney who visited Ireland by making her own itinerary. She travelled down along the East coast, the West coast and didn’t really book her accommodation in advance! 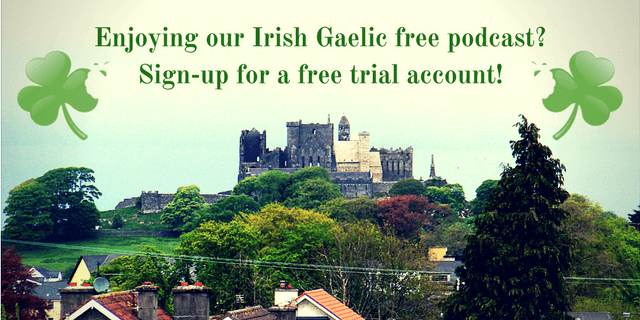 Learn how she managed to book great accommodation while on the road and much more in this re-run of the Bitesize Irish Gaelic podcast, in the English language.